Some tickets don’t need to be framed with any bells and whistles. See, some tickets speak for themselves and every NHL fan has a few of ‘em. And here’s the product that get these tickets out of storage and onto walls to share with friends and family. Each Single Ticket Frame comes with professional mounting corners to secure your ticket as well as easy-to-follow instructions. Be sure to select your ticket orientation and logo placement. Please note: If your ticket is 2 1/2 inches wide or greater, we will use a 3" circle team logo as shown in Images A & B. If the width of your ticket is less than 2 ½, we will reduce the size of the circle team logo from 3" to 2" as well as add a v-groove to the design as shown in Images C and D. Regardless of ticket size, each Single Ticket Frame measures 8 x 14. This provides endless options for creating a stunning wall display featuring multiple pieces. 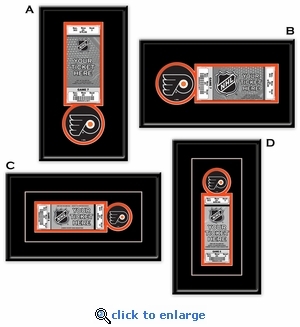 Your choice of two logos (helmet or team logo) displayed in unique circle cut out. 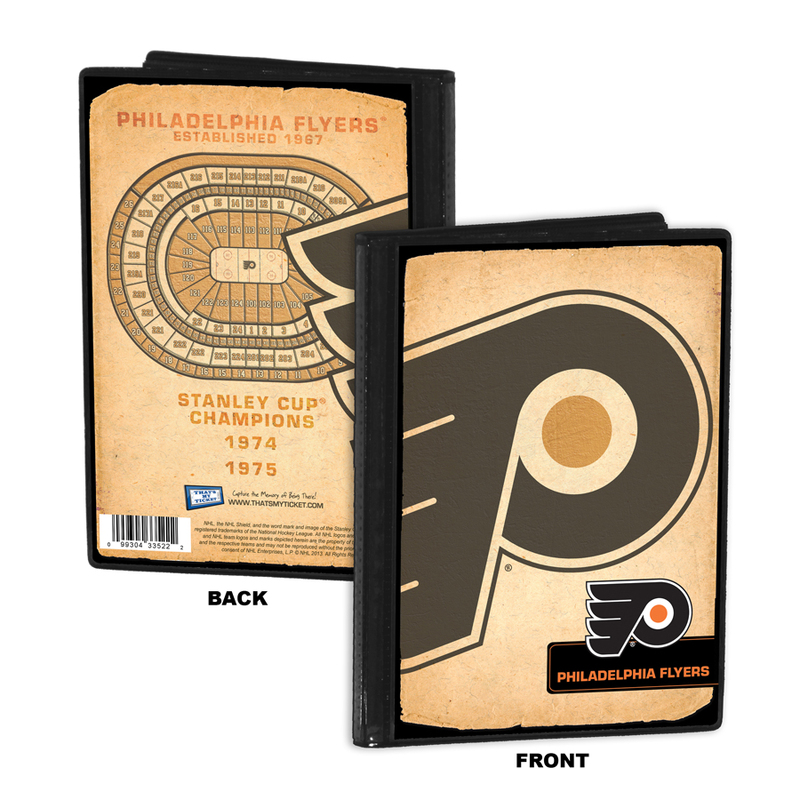 Placeholder custom sized to fit your game ticket that utilizes professional-grade mounting corners to preserve the condition and value of your ticket. Your ticket is the one item you can point to and say "I was there. That's My Ticket." Some tickets don’t need to be framed with any bells and whistles. See, some tickets speak for themselves and every NHL fan has a few of ‘em. And here’s the product that get these tickets out of storage and onto walls to share with friends and family. Each Single Ticket Frame comes with professional mounting corners to secure your ticket as well as easy-to-follow instructions. Be sure to select your ticket orientation and logo placement. Please note: If your ticket is 2 1/2 inches wide or greater, we will use a 3" circle team logo as shown in Images A & B. If the width of your ticket is less than 2 ½, we will reduce the size of the circle team logo from 3" to 2" as well as add a v-groove to the design as shown in Images C and D. Regardless of ticket size, each Single Ticket Frame measures 8 x 14. This provides endless options for creating a stunning wall display featuring multiple pieces.